NOTE: Based on the other reviews I've read since writing this, my mediocre review seems to be in the minority, so take this with a grain of salt as perhaps this book just wasn't my style, but may work perfectly for you. 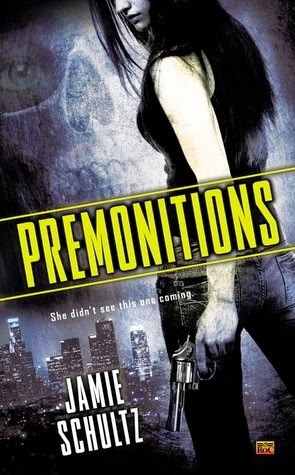 PREMONITIONS had a whole lot going on and between all of the different elements, it should have been a really great read for me, but unfortunately it wound up being mediocre overall despite me wanting so much more from it. The beginning started off really slow, to the point where if I had not been on a plane while reading this book, I probably would have easily been distracted by other things. There just wasn't enough to pull me in to start, be it action or the characters. But luckily as the book went on, things started to really pick up, leading to an almost frenetic pace by the end that held my attention, so it was a good thing I mustered through the rocky beginning and didn't give up due to the slow pace. I'm a very character driven person, so this was a bit of a frustrating read in that aspect. The biggest being the large number of perspectives that kept me from really attaching to anyone due to the constant character rotation. I just didn't feel like the characters were developed enough and it left me feeling detached, which is never a good thing in my opinion. I think if it had been cut down to just two or three at most, it would have worked a lot better. 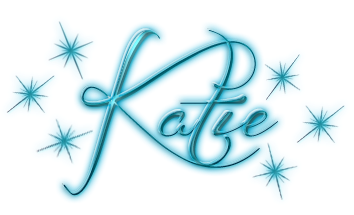 As it was, each time I would just about settle into the new narrator's head, the scene would change, and there would be a new perspective, leaving me more than a little detached and unsatisfied. I wanted to know more about Karyn and Anna, and the rest of the perspectives were just in the way in my opinion. Granted, if you like seeing all angles of a story, then this one should work really well for you, but as for me, I prefer a more insular tale. I realize it may seem like I really didn't enjoy this book. That's not the case. It was a decent read, not great, but definitely worth the time. I'm pretty sure this will be a series, and I'm intrigued enough with the world to want to see what happens next. Hopefully now that I've had a bit of backstory on the characters, it will be easier to connect to the next time around. That being said, if a faster paced read focused heavily on the heist plot rather than character development sounds up your alley, then PREMONTIONS is worth taking a look.